Sounds of Success Preschool and Learning Center (SOS) is a local private non-profit 501(c)(3) organization serving all preschool children ages 2 1/2 to 5 yrs old, while specializing in speech and language therapy services for children with speech-language delays. We do accept children from 2 1/2 yrs old into our 3 yr old program. We have a 4 yr old program as well as a Junior Kindergarten program for late born 5 yr olds in which we use a true Kindergarten curriculum through Houghton Mifflin Harcourt. We also have an on-site Learning Center for after school speech-language therapy for children ages 2 - 18 who are not enrolled in Sounds of Success Preschool. Founded in January 2012, SOS is a Hawaii-based preschool with co-founders born and raised on Oahu. 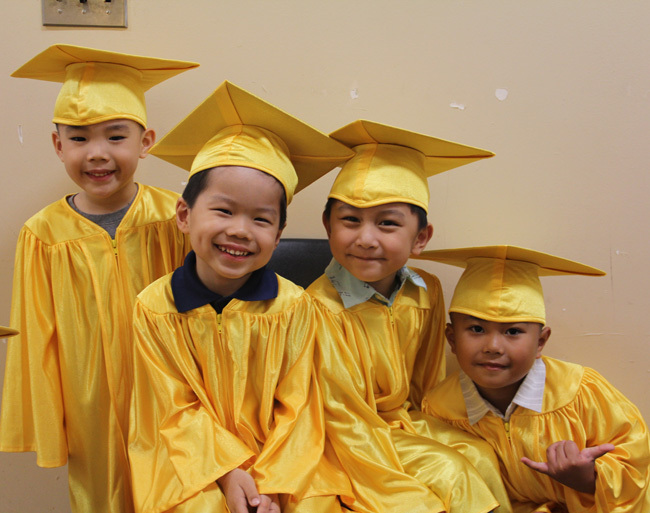 Early Childhood Education Hawaii : SOS strives to ensure that preschool aged children are given the basic tools to reach their full potential. 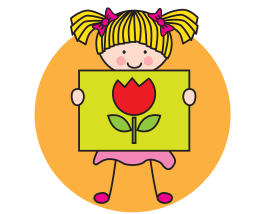 Our mission is to provide a safe, structured, and fun learning environment with teachers and Speech-Language Pathologists working together collaboratively to provide individualized learning and therapeutic interventions (if needed), to young children from Aiea & Pearl City to Honolulu, Hawaii. SOS is committed to providing a team of highly qualified teachers and Speech-Language Pathologists to help serve the educational needs of preschool aged children for speech language pathology. Our program is designed to support social-emotional, speech and language, physical, and cognitive growth in children. The overall objective of our program is to prepare children for mainstream education, so they are ready to learn and accept the challenges that will help them succeed throughout their school years. SOS also aspires to educate and work collaboratively with families for further enrichment and carryover of learned skills into the home environment. Family involvement is welcomed and encouraged. Full day preschool for all children ages 2 1/2 to 5 years old that engages your child in a fun learning environment with a quality curriculum. A unique all day preschool that also offers individualized speech-language therapy services for those chidren with speech-language needs. 30-minute daily speech therapy sessions are conducted during the school day with a certified licensed Speech-Language Pathologist as part of a language enriched learning curriculum. Group size and staff are significant factors in creating a high quality and successful learning environment. Thus, it is important to us to keep low student to teacher ratios, so our students can thrive. The ratio for our 3 yr old program is 1:8. The ratio for our 4 & 5 yr old programs is 1:10. We offer activities throughout the school day that focus on experiences that will help children learn, develop motor skills, and have fun at the same time. Our AFTER SCHOOL LEARNING CENTER also offers speech-language therapy services after school hours to children of all ages (2 - 18 yrs old) that do not attend our preschool. We are a non-profit and equal opportunity provider and employer. We are a cohesive team of highly qualified, educated teachers and full-time American Speech-Language-Hearing Association (ASHA) certified and licensed Speech-Language Pathologists with an unwavering commitment to providing your child with a safe, caring and enriching educational environment. Our speech pathologists, director and administrator possess Master's degrees from accredited universities. All our teachers possess bachelor’s degrees from accredited universities or teaching certificates from the Council for Early Childhood Professional Recognition. One of the Best Preschools in Hawaii. We are the only preschool with Speech Therapists on staff. Speech Language Pathology is our speciality as we strive to provide Speech Therapy for all children of Hawaii.